Before Steve Jobs passed away in the fall, he apparently had made it known he was interested in meeting with Lytro CEO Ren Ng about the possibilities of light field capture technology in iPhones. And as the story goes, Ng obliged, setting up a meeting as swiftly as is humanly possible. This is the account given in the book Inside Apple—and excerpted by 9to5mac—which also has insider info about Jobs' plans to transform the television and education industries. 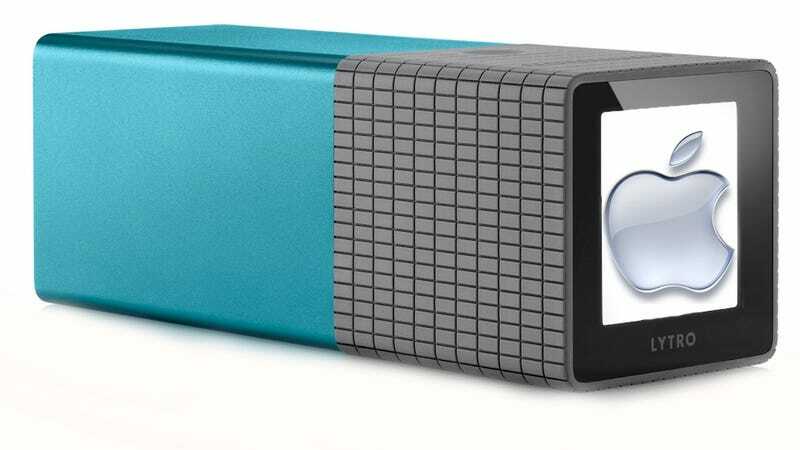 But even more so than the other two, the possibility of Lytro's technology in an iPhone excites me the most, because of how new the actual tech is in the consumer world. When they met, Jobs was apparently impressed enough to ask for a formal email from Ng. The company's CEO, Ren Ng, a brilliant computer scientist with a PhD from Stanford, immediately called Jobs, who picked up the phone and quickly said, "if you're free this afternoon maybe we would could get together." Ng, who is thirty-two, hurried to Palo Alto, showed Jobs a demo of Lytro's technology, discussed cameras and product design with him, and, at Jobs's request, agreed to send him an email outlining three things he'd like Lytro to do with Apple.